1. Toshiba Satellite M45X-S351 15.4"
2. 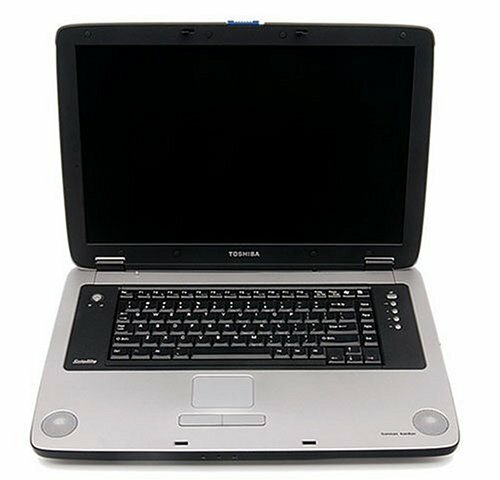 Toshiba Satellite M45X-S331 15.4"
3. Toshiba Satellite A75-S211 15.4"
4. Toshiba Satellite R15-S822 14.1"
7. Toshiba Satellite M35X-S161 15.4"
8. Toshiba Satellite P35-S611 17"
10. 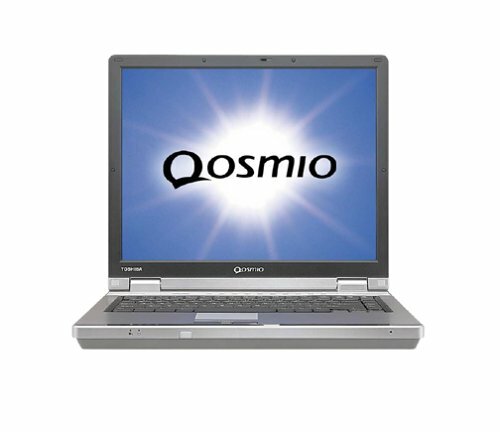 Toshiba Qosmio G15-AV501/R 17"
11. 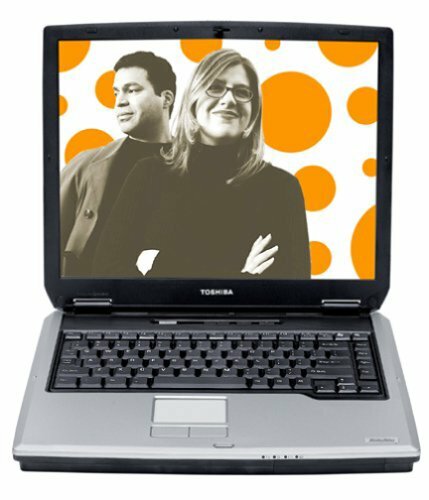 Toshiba Satellite A75-S231 15.4"
20. Toshiba Qosmio F15-AV201 15.4"
I'm generally happy with the hardware. The computer has many nice features for the price. But, all of the features of Windows XP Home edition were not preinstalled. Toshiba does not include the OS on CD ROM, only a recovery disc. Customer Support told me that I would need to purchase XP in order to obtain all the features of the OS, like the ability to Back-up. expected, but I still think it's a nice machine. Its my first laptop and makes me want to never use a desktop again. The keyboard is slightly different but you quickly adapt. Nice for the money, but Tech Support is the pits! I purchased this notebook for my daughter less than a month ago.She was very happy with it, and I was pleased with what we got for the money.Then the DVD drive began having problems.To make a long story short, after several calls to Toshiba it was finally determined that the drive must be replaced.The closest authorized service center is almost 40 miles away, so we must send it off to Toshiba and be without it for up to 2 weeks.I have dealt with other computer manufacturers who have sent out a technician to correct a problem covered under warranty.Why can't Toshiba do this?Or at least have a few more authorized service providers.I'm not exactly out in the sticks.There are several businesses in my area who could provide this service for Toshiba's customers. Sleek notebook, but that’s the only positive.My absolute worst fears all came true only three weeks after I bought it. Within three weeks the screen had died on me.Called the warranty service who advised me to send it to the Toshiba depot for repair, as opposed to taking it to a local service center.They assured me that the depot would have all the necessary parts, whereas a service center will have to order them and wait.They also assured me that I’ll have my notebook back in about a week. Three weeks later, after countless phone calls, and many promises of delivery “next week”, they finally told me that parts are still not available and that it would take two additional weeks before they get them. I called customer relations several times (get used to 45 minutes on hold, don’t bother leaving messages, they never return calls despite the promise of “within the hour”).Every time I was assured that this time they’ll get it right and that I’ll get my notebook within days. Needless to say, two weeks passed, and the assurances turned to be meaningless.Customer relations’ only job is to get you off the phone, not to solve your problem.So here I am with a brand new notebook that spent twice as much time in the repair shop than on my desk.I called customer relations again, and asked to speak to someone who will actually do something to solve my problem, perhaps send me a replacement unit.I bought the notebook because I needed it, and I just can’t defer using it indefinitely.Guess what they told me?There’s not such thing as someone who could do something.There is no replacement policy.I’ll just have to wait for the part until it arrives – whenever that is. A new notebook is not supposed to break right out of the box, but if it does, a respectable manufacturer should stand by their product and make up for the inconvenience to the customer. Toshiba has been utterly disappointing on all counts. The Batter Performance is Poor. The salesman at Circuity City will BS to get their product sold. It hardly lasts more than 80 minutes. The Laptop is loaded with JUNK. It sux!!!! I installed Red Hat Linux 9.0 and XP Pro with SP2. Their are no Network Card Drivers for Linux, so I can easily say forget about your wireless working on Linux. Shame on both Toshiba and Intel for not supporting the same. The system cannot hibernate nor turn itself off even after installing battry saver options that accompanied the CD. So I have had a horrible experience. Pretty much whatever I want I don't get.I will never ever BUY Toshiba. After some research, I was down to Toshiba M45-S331 and Dell 6000. Finally got Toshiba although it was more expensive(especially considering Dell online deals). So far am very satisfied and love its built quality and feel as compared to others in the same price & specs range. I experienced the FREEZING/LOCK-UP problem on plugging the AC Power Cord and have seen numerous such topics online. Toshiba Support insisted its a hardware problem but was not convinced. 2. Right-click it and select "TOSHIBA POWER SAVER SETTINGS". 4. "UNCHECK" the box marked "Change Power Source Profile Automatically". Once you have done this....you should hopefully no longer have the freezing or locking problem when you switch to AC Power. This is the first time I purchased a laptop and cannot really compare to other laptops.However after a few minutes using this laptop, I realised that there was absolutely no noise coming from the laptop .. incredible .. very quiet!I was annoyed by the tons of software which were installed on it (most of them as trial) .. it took me a whole day to remove everything and install my software. This is a fantastic laptop with a amazing screen.It comes with just about everything one would need.The build quality seems to be much better than Gateway, HP, Compaq on a side to side comparison, and about the same as Dell and Sony laptops.The computer runs fairly cool (much cooler than my old Sony P3 750) and also very quiet (much quieter than old Sony).So far, there are no problems.I have left it on for a week with no problems.The computer is well configured and runs very smoothly. Now the negatives... The fixed 512mb memory is really annoying.This limits you to 1.5 gig instead of 2 gig of memory.Then, there is the mouse pad... the buttons are extremely small, and feel the same as its surrounding plastic (small, no height difference, no texture difference).This makes it hard to locate, even for an experienced mouse pad user.The mouse pad buttons are also not sensitive around the sides and feel really cheaply made on top of being tiny.For a well designed computer, this is inexcusable.I have never seen a laptop with a less ergonomic mouse pad!My third complaint with this laptop is that the chip seem to have a hard time hitting 100% performance no matter what I throw at it.This is rather different from a desktop computer where the chip seem to reach 100% performance easily. I am a first time tablet buyer and thus read everything written on tablets before buying one. I am quite please with my choice. I have owned an ECS desknote, Compaq Presario, IBM notebooks and Gateway desktop earlier. Right now, I am using the R15 along with my gateway desktop. Several people wrote that it is probably better to go with a slate rather than a hybrid but I wasn't sure how much will I use my tablet functionality. It appears that I will use the R15 mostly as a tablet and sometimes as a notebook. So, my next purchase will be a slate. I have such a poor handwriting that I cannot read it myself on some occasions. Thus I am surprised that R15 could read my handwriting so well. I didnt check the speech recognition function, but last time I looked at it, the technology hadn't advanced much. Overall, R15 is a sturdy machine with good wireless card (I didn't have to set up the wireless). Battery life is good (and can stretch even more than 4 hours on some settings). The pen is very easy to use and pleasant experience. The drive makes a lot of sound but there is a silencer that can make the noise disappear (I am not sure whether it changes the perfomrance). I was quite worried about the cooling of the machine - I checked an averatec which was too hot to handle. R15 manages the heat disspiation quite well, thought it reamins warm (not hot like so many other machines). I decided not to go with Averatec as I read too many bad reviews and my last experinece with an unknown brand was extremely bad. So, i decided to spend 350 bucks extra on a known brand. I found the performance of the machine to be at least as good as my 2.2Ghz desktop. I simultaneuously ran word, outlook, excel and onenote and performnnce was still good. Amazon gave a great deal (and when i bought it was the cheapest R15 around). They also shipped in just 3 days (although they said it woudl take 5-9 days). Buying at Amazon was a pleasure - as always. The only thing I dont like about R15 is the weight. Although, as a laptop the weigth is not problem, when it is used as a slate holding it in one arm for long is difficult. But this is a trade-off I made to have a larger screen, built in optical drive, and laptop functionality. I am not disappointed with the trade-off. Overall, I would recommend this machine to someone who doesn't know how much he/she would use it as a tablet and for first time tablet buyers. I would also recommend potential laptop buyers to take a good look at this hybrid as it has amazing features (as a tablet) that would change the way you work with your computer. I wrote a review of the R15 that would take too much space here.You can view at VBInk dot com. In general, I agree with the previous reviews. I would recommend it for people new to tablets.My next one may be a slate though.I didn't think I was too mobile beofre getting the R15.A new world has opened up to me.In a couple years I'll be ready for a slate.Someone told me "If you buy a convertable, try to use it only in Tablet mode to really learn and benefit from the tablet features. Otherwise, you'll end up using the Tablet as a notebook and the purchase would have been pointless." Featuring a progressive-scan DVD player combined with a four-head hi-fi VCR, this Toshiba SD-V392 dual-function unit delivers the crisp resolution and enhanced sound of high-quality DVDs paired with the ability to record your favorite programs and movies on VHS tapes. The unit flexibly interacts with a number of audio and video formats, including DVD-Video, DVD-R, video CD, audio CD, and CD-R/RW, along with MP3- and WMA-encoded formats and JPEG digital photo CDs. Like other versatile DVD players, the device also offers a selectable display format, which delivers a choice between interlaced or progressive scan depending on whether users own a HDTV-capable TV. Progressive scan displays images at a higher scan rate for a sharper, richer picture, while interlaced is the standard for traditional non-HDTV televisions. The VCR is equipped for most common and high-end functions, featuring a program timer, 30-second commercial skip, and even the ability to watch DVDs while recording a TV show. The VCR's hi-fi stereo is bolstered by its built-in MTS decoding, which delivers a clearer audio performance. The DVD player is also compatible with a variety of enhanced audio functions, as its coaxial and audio digital outputs connect to Dolby Digital- and DTS-capable receivers for rich surround sound. The player also supports virtual surround sound, creating an audio environment that broadcasts simulated full theater sound over a two-speaker system. The system connects to other components through its component-video, S-video, and composite-outputs, along with the aforementioned digital audio outputs. The player includes a 54 MHz/10-bit video DAC and 192 kHz/24-bit audio DAC, and comes with a full-featured remote control. This is more of a love hate kinda thing. First I love the fact that it records and plays DVD's that the same time! The only other unit I have found that does that is an Apex. The picture is great both in tape and DVD. Now for the bad! The remote control, its white with black (with is OK) and orange thats right orange lettering with is hard to see when trying to use the unit at first. Also its not a smart remote, ot only works for the unit. Other than the remote it's a great unit, it has all the bells and whistles. I have owned this machine 11 months. About a month ago the DVD picture would freeze. The manufacturer attributed the problem to a dirty or stratched DVD. I purchased a new DVD and the problem persisted. Seems this is a recurring problem with all brands. Toshiba takes DLP technology into the future with the 52-inch TheaterWide 52HM84 HD-ready rear-projection TV. The 16:9 52HM84 uses a proprietary system called TALEN (Toshiba Advanced Light Engine); based on Texas Instruments' HD2+ DLP chip, it enhances brightness and contrast while keeping the 1,280 x 720-pixel progressive resolution (720p). Toshiba's TheaterWide TVs challenge direct-view CRT models when it comes to reproducing deep blacks and details in dark or shadowy scenes. DLP, or Digital Light Processing, is a technology that bounces a colored light beam across an array of hundreds of thousands of hinge-mounted microscopic mirrors attached to a single chip, called a "micro mirror device" (below, pictured with the head of a pin). Each of the mirrors can be pointed toward or away from the light source thousands of times per second, providing not only minute color detail but also sharper resolution than even LCD displays. This set is HDTV-ready (it needs an optional hi-def receiver to get HD signals), but can improve standard-definition video thanks to Toshiba's multi-step PixelPure video processing system, which optimizes the three main picture quality factors: resolution, contrast, and color. All incoming signals are upconverted by the built-in "scaler" to match the DLP chip's native 720p resolution. PixelPure encompasses 8 different processing circuits. Among its components are: 6.2 million-pixel oversampling (for higher perceived resolution), real-speed progressive scanning (which uses additional sampling points to create smoother diagonal lines), a Magic Square algorithm (for smooth, natural color gradation), Dynamic Contrast Enhancer (for higher perceived contrast and increased color saturation), and Color Detail Enhancer (to maintain fine image detail in color-saturated areas). DLP (Digital Light Processing) technology uses an optical semiconductor, known as the Digital Micromirror Device, or DMD chip, to digitally manipulate light. 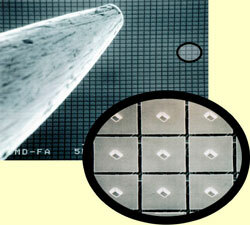 The chip contains a rectangular array of up to 1.3 million microscopic mirrors, each of which measures less than one-fifth the width of a human hair. A DMD panel's micromirrors are mounted on tiny hinges that enable them to tilt either toward the light source (on) or away from it (off)--creating a light or dark pixel on the projection surface. The bit-streamed image code entering the semiconductor directs each mirror to switch on and off up to several thousand times per second, such that the mirrors can reflect pixels in up to 1,024 shades of gray. 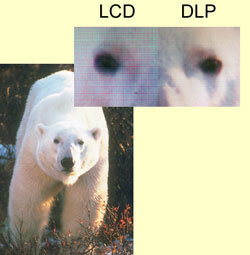 The HD2+ DLP chip ensures an ultra-clean image by filling in the dimples, or vias, in the mirrors to avoid stray light. It increases both brightness and contrast, resulting in an impressive color-corrected contrast ratio (2,200:1) at 1,100 ANSI Lumens. The set's TheaterFine HD Super Fine Pitch screen reduces the physical space between the lines on the lenticular screen, resulting in a finer, sharper, more detailed picture. Toshiba's DFine Hi-Speed VSM (velocity scan modulation) improves contrast and overall picture sharpness, while the CableClear DNR+ digital noise reduction optimizes poor NTSC signals from antenna or cable, further eliminating video noise ("snow") for a clean, crisp image. Cinema Mode circuitry (3:2 pulldown switch) identifies original film-based content from DVDs, then reassembles the frame sequence to more accurately reproduce the original 24-frame-per-second material. A 3D Y/C (4 MB, 10-bit) digital comb filter with Vertical Contour Correction helps eliminate dot crawl and color bleed and significantly reduces detail noise, seen as shimmering or flicker, in complex or intricately detailed scenes. Color temperature controls allow you to adjust white balance. The "Warm" setting reduces the color temperature to an NTSC standard 6,500 degrees Kelvin and delivers a redder image that is ideal for display in a dimly lit room. "Medium" and "Cool" provide a progressively bluer image for the best picture as room light levels are increased. The 52HM84 has plenty of inputs for connecting all your audio and video components. In back you'll find two RF, two composite video, two S-Video, and two HD ColorStream component video, as well as an HDMI digital input. HDMI (High-Definition Multimedia Interface) is an uncompressed, all-digital audio/video interface that supports standard, enhanced, or high-definition video, plus 8-channel digital audio--all on a single cable. A set of front composite and S-video inputs make hooking up a game console or camcorder a snap. Other features include HD Window dual-tuner POP (picture-on-picture) with PIP sound for listening to two programs simultaneously, the new Radiance DC lamp with high brightness and lower power modes for extended life, individual audio/video settings by input type, sleep and wake timers, Real Speed progressive scanning to create smoother diagonal lines, Color Transient Improver for sharp transitions on color changes without bleeding, and Color Detail Enhancer to maintain fine image detail in color saturated areas. Aside from the 20-watts-per-channel stereo speaker system, the 52HM84 uses MTS for programming with stereo sound, SAP for receiving a second audio track in another language. Meanwhile, SRS WOW combines 3D Sound (simulated surround sound from any stereo audio) with TruBass (yet another low-frequency enhancement) and Focus (which clarifies voices). The StableSound volume leveler eliminates drastic volume spikes while changing channels or when channels go to a commercial break. Purchased M35x at Christmastime for my daughter to use for school - and we LOVED it for 6 weeks... just received back after being in the repair shop waiting for parts(motherboard) for 2 months (along with 60 other laptops) - Telephone customer support is outside of US and completely unhelpful and unwilling to move calls forward. VERY UNHAPPY with Toshiba - if you buy this buy the extended coverage so you can get a replacement immediately! I bought this notebook primarily for web surfing, music management and for school. It has been sufficient in facilitating those needs. I have enjoyed its large wide screen. I don't play computer games, so I don't know how it does with that. I use it a lot for burning cd's and for the most part it does great. Occasionally it can be slow and can get hung up during the copying of music, but I think that is more due to Windows Media Player. My one complaint about this notebook is its battery life. It seems to drain rather quickly. If I am to use it at school, I have to plug it into the wall to assure it won't cut off. It seems to drain dead in a couple of hours with regular internet use, and a lot less if you are using many programs, such as music copying, etc. 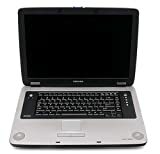 I find that is notebook is affordable and sufficient for the user who plans on using it primarily for office and internet use.Just make sure you keep it plugged in when you are using it at home to keep the battery from cutting off. Overall, its fast and worth the money. You can find them at BestBuy and Circuit City. I reccomend buying the extended warranty plan to ensure some sort of coverage should something happen to it. Toshiba M35X-S161 is a great buy! I was looking for a quality laptop for wireless surfing, office applications, and music management.This Toshiba fits the bill perfectly.The ONLY complaint I have is battery life.It is terrible!However, when you register the laptop with Toshiba they provide you with a coupon code.You can order the better 8-cell battery direct from them for a reasonable price.Heck, with the hundreds of dollars you saved by buying the M35X-S161 buying a better battery will still keep you well ahead! This is not a very "mobile" notebook computer because of the under whelming 4 cell battery (read the complaints below).If you are *sure* this is mostly going to be plugged in and only occasionally be used on battery power then you may consider this model (the price is great and other major components are first rate).If you need reasonable battery life and similar features at this price point I would suggest the HP4900 series or the Compaq 2100 series which have 6 cell batteries (FYI - HP/Compaq is the same company and these are same notebook platforms with mostly cosmetic differences).If you really like this model but don't mind spending a little more look at the Toshiba M35X-S3__ series (such as the M35X-S309 sold by Amazon) which have 8 cell batteries (the M45-S3__ series is just up the ladder from the M35 and comes in 6 and 8 cell variants). I agree completely with the 2 previous reviewers.The included battery only lasts a little over an hour.I feel duped by Toshiba.One would naturally believe that a Pentium M or Celeron M laptop would give good battery life.I never imagined that Toshiba would include a dinky 4 cell battery.This laptop is not the bargain that it appears to be, because you need to spend another $90 to get the 12 cell battery, pa3332u, if you want your notebook to last over 1.5 hours on a charge. I agree with William McMullin's review. Within the FIRST WEEK this computer began shutting down for NO reason. The battery and plug were fine. It was not the heat. The laptop was off ALL day and we turned it on and it immediately turned off. Interestingly it would only work when we switched the plug from one outlet to another.It would not work if it was not plugged in. As if switching the outlet was a reset. Not sure why this should matter. I am not sure if it is an adapter thing. Very frustrating. If the problem is resolved I will pull write another review and let buyers on amazon know. 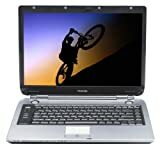 I bought 2 Toshiba laptops the last couple of months.The P35-S611 will just shut down periodically for no reason when plugged in to an A/C outlet with battery intact.It will reboot for a few seconds and then shut down again. The other Toshiba, the Tecra A4, freezes up everytime you switch it from battery to power cord.Toshiba gave me a refund on this one.I'm still fighting for a refund on the P35. With in the first 3 weeks of owning my Toshiba, the performance was reduced to waiting 15 to 20 seconds for any program to open. With a gig of ram, it should have been zipping along. Durring the next week, the backlight on the LCD went out and had to be used via a external monitor. I was informed that it should take 5 to 10 business days for turn around. As it turned out, I was waiting 35 days for it to be returned. Upon recieving the computer from repair, the sound did not work. After installing the sound drivers with the help of the tech support, it was determined that it had to be shipped back for another repair. I was informed that Toshiba DOES NOT have a replacement or refund policy. I bought what I thought was a reliable computer. Not something that had to be sent back for repaires constantly. I love the looks and layout of this unit but the performance leaves a lot to be desired. Taking DVD and home-video entertainment to new heights, the Toshiba RD-XS52 combines a topnotch DVD player with a DVD-R/DVD-RAM optical-media recorder and a hard-disk drive (HDD) with a stunning storage capacity of 160 GB. Whether you're watching the latest DVD movie releases in your home theater, recording your favorite TV programming, or archiving home movies and other videos to long-lasting DVD, the RD-XS52 is your ticket to world-class entertainment. And did we mention that the unit spins your homemade CDs filled with JPEG image files or MP3 and WMA music tracks? The RD-XS52's HDD lets you store around 135 hours of audio/video programming, ample room for time-shifting your viewing and keeping a fair amount of "must-watch-soon" content at the ready. Imagine the contents of a fleet of 30 VHS tapes, all recorded in 6-hour/EP mode, available at once and with easy navigation, no fast-forwarding or rewinding, and in much higher resolution. When you have programs you decide you want to keep, just offload them to DVD. Archiving is lickety-split: 24x normal speed when transferring from the HDD to a write-once DVD-R and 12x when burning to DVD-RAM. Time Slip recording/playback lets you begin watching a recording that's already in progress or pause a live recording and return to it later. The EASY NAVI menu's user-friendly preview screen instantly gives you access to the recorder's key features and can be used to preview and access your content. The RD-XS52 is also one of the first DVD recorders to offer an HDMI (High-Definition Multimedia Interface) with upconversion capability from standard 480i resolution to high-definition 720p or 1080i--perfect for viewing your DVDs, camcorder footage, and television programs on a high-definition-equipped TV, now or in the future. HDMI provides a single-cable digital connection for the highest-quality interface between the DVD player and a compatible television, maintaining the digital audio and video signals until they reach the monitor. Other picture enhancements include 3D digital noise reduction (DNR), mosquito DNR, and block DNR. Front-panel inputs accommodate VCRs and camcorders, including digital camcorders through an IEEE 1394/DV input. The digital-video input even includes controls for your camcorder to simplify the process of selecting and transferring the scenes you want. Other inputs include 3 each of composite- and S-video (1 each on the front panel) and an RF/antenna input on the rear panel. For DVD recordings, you can create virtual titles on the hard drive--including menus and chapters with thumbnail images--then burn your programming to DVDs with high-quality MPEG-2 encoding (the DVD-Video standard). A convenient library function maintains an inventory of all your recorded content by disc or title so you can sort by date, time, or genre. The RD-XS52offers broad flexibility, with both a hard drive that holds up to 135 hours of programming and the ability to record to DVD-RAM and DVD-R. The RD-XS52 offers the flexibility of recording on DVD-RAM--perfect for instant chapter access and for multiple rerecordings--as well as on DVD-R, one of the most widely compatible DVD formats (great for sharing camcorder footage with loved ones). DVD-RAM offers double-sided recording (9.4 GB total storage), and the format is rewriteable, too. Advanced timer programming lets you use the unit like you would a VCR, specifying a time and channel for recording, and built-in Gemstar VCR+ C3 greatly simplifies this. Significantly, this model gives you the option of recording audio in higher resolution than the MP3-like Dolby Digital 2.0. Choose from 3 separate formats, depending upon your desired quality and available disc space: Dolby Digital 1 (192 kbps), Dolby Digital 2 (384 kbps), and linear PCM (1,546 kbps). For playback, ColorStream Pro progressive-scan component-video outputs (switchable between 480p and standard 480i) provide great color detail and high purity when connected to compatible televisions. The unit also has standard composite- and S-video outputs, with an RF coaxial output for passing tuner signals to an external device such as a VCR (the RF output does not pass a DVD or HDD signal). Both Dolby Digital and DTS 5.1-channel surround-sound signals can be routed through the player's digital-audio output (Toslink optical) for direct connection to a full-featured audio/video receiver. The most flexible of the recordable DVD formats when it comes to recording, editing, and playback. Even more, you can rerecord content approximately 100,000 times. A write-once format perfect for sharing treasured video moments with virtually anyone who has a DVD-Video player. DVD recorder, DVD-RAM,audio/video interconnects, a universal remote control with television control capability, remote batteries, a user's manual, and warranty information. I went and did my research and wasn't so concerned on price as long as the laptop had some of the latest and greatest.I went and did my reads in PC mag, consumer reports (membership req) as well as Amazon reviews of similar models.I was sorry to read the other guy who rated this computer and had such issues, and hope that your follow up will have some good news for you as well as giving us other Toshiba users some faith in the support group of that company! I purchased my Toshiba from an online reseller and so far no major issues and I am adding more RAM as 512 should be the min.I had some driver issues when upgrading to XP pro but again a little patience and time and web site downloads from Toshiba and MS windows and all seems to be fine. I have yet to do anything major with it and I have not loaded on some space hogging software I use, that will be the test. Wireless worked fine and I am pleased with the screen. Cooling fans are loud but not a big deal but it heats up hot and fast so it needs to be cooled! Being at 3.3 gig it is one of the largest laps or desktops out there at the moment, however, in no time 3.3 will be small! All I can say is do you research, ask others, read reviews, make sure you get warranty/support and hell if it isn't working, fight to return it, get another or get your money back and go after another, you the consumer have rights look for return/exchange policies within the quickest time frames, ABC or Fox news consumers hotlines to help if needed too, just don't allow them to walk on you especially if it's the product that is the problem!I must admit from past experience going through a Best Buy or Circuit City, I have NOT been pleased with the "I don't care attitude" once you have purchased from them. Just think, research, no impulse and if it's real new technology wait, as it needs to be tested and or competition formed and prices drop as well as bugs fixed. Will advise if I come up against anything out of the ordinary or that I read has happened to others hence being a common product flaw, which Toshiba would address if enough people report the issue or issues.More to come. This is the worst experience I have ever had in buying a computer. I ordered this through amazon.com with fastest shipping option. And I got it 2 days later. OK. so far so good. First, I turned on the computer and everything worked well. But after I uninstalled Norton Untivirus ( 90 days trial which is pre-installed to this computer) in order to install the newest version of it. After the uninstallation, it asked me to restart the computer and I clicked "OK". and..... it never reboots. Just its fans are screaming out loud and the power lit is on, but there is nothing on the screen. What the hell is going on? I immediately called the customer service. First time I told them this situation, he said he would pass this matter to "level 2". and He said they were gonna call me back soon. But, as you imagine, NO CALL. So, I call them again and the other guy picked up the phone. and asked me to bring it to UPS or ask them to send me a box, which I have to pay $25. Tomorrow, I will bring my laptop to UPS and send this to TOSHIBA repair center. I have no idea when the hell I can get this back, with perfectly repaired. I will write what happened later. Toshiba's RS-TX20 Digital Media Server is two high-tech components in one: a full-featured DVD recorder/player and a TiVo Series2 digital video recorder with free TiVo Basic service included with purchase. The unit's high-capacity, 120 GB hard-disk drive (HDD) stores up to 140 hours of audio/video storage (depending on the quality level you select), while DVD recording gives you the option for archiving your VHS and camcorder footage and for easy recording of your favorite TV programs. A convenient, front-panel DV input (IEEE 1394) is perfect for quick transfers of camcorder material onto the hard-disk drive and then to DVD. The unit also comes with a 45-day free trial of the TiVo Plus service so you can try features unique to the TiVo Plus service, including the ability to search for programs by title, set up Season Pass recordings for your favorite shows, and create actor, director, and keyword WishLists searches. With TiVo Basic Service included and without paying a subscription fee, you can record your favorite TV shows onto the HDD and watch them on your schedule. You can also record content from the hard disk drive to a DVD media (DVD-R, DVD-RW, or DVD-RAM) quickly and easily. 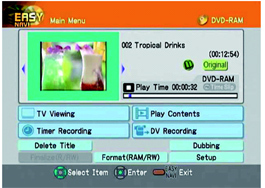 The easy-to-use TiVo interface can automatically create a DVD menu for easy navigation. DVDs can be named according to your program selections, or you may manually enter a title. This is a great DVD player, too. Whether your living room is currently home to an HDTV or you're merely thinking of "someday," the RS-TX20 will deliver the full potential of your commercial DVDs. Progressive scanning, referred to as 480p for the number of horizontal lines that compose the video image, gives you higher resolution and sharper images than standard 480i signals while eliminating nearly all motion artifacts. Toshiba's Digital Cinema Progressive feature (3:2 pulldown detection and reversal) digitally corrects frame distortion in film-based material to display a film-frame-accurate picture. The recorder/player offers 1 set of ColorStream Pro component-video outputs (selectable for 480p/480i), 2 composite-video-based AV inputs, 1 S-video input, and 1 RF coaxial input (for an antenna signal or a feed from an older VCR or cable box). A set of left/right analog-audio outputs channel audio to Dolby Pro Logic receivers and stereo televisions, while both Dolby Digital and DTS 5.1-channel surround-sound signals can be routed through the player's Toslink optical digital-audio output for direct connection to a full-featured audio/video receiver. The DVD drive is fully compatible with your MP3 and WMA music CDs and will even play discs full of your favorite JPEG digital photos for ready-made slide shows right in your living room. A supplied IR blaster cable for cable-box and satellite receiver control (C3 Control) connects to the back of the recorder and transmits an infrared (IR) signal to change channels on your cable or satellite box, as needed, for advance recording--freeing you from having to pretune the correct channel ahead of time. The included, no-fee TiVo Basic service features a 3-day rolling program guide, TV "Trick Play" features (such as the ability to pause and rewind live TV), instant replay/instant skip, and manual recording capability with repeat function. The unit is fully upgradeable to the TiVo Plus Service (subscription required: $12.95 per month or a "product lifetime" fee of $299 that's good for as long as your RS-TX20 remains operational), which includes TiVo's Home Media Option for remote (online) scheduling, access to MP3/JPEG digital media files from your PC, and multi-room viewing with no additional TiVo receivers. A digital entertainment device for both movie buffs and technophiles, Toshiba's RS-TX60 digital media server features DVD recording abilities alongside TiVo Series2 technology with free TiVo Basic service included with purchase. The unit's high-capacity, 160 GB hard-disk drive (HDD) stores up to 200 hours of audio/video storage (depending on the quality level you select), while DVD recording gives you the option for archiving your VHS and camcorder footage and for easy recording of your favorite TV programs. A convenient, front-panel DV input (IEEE 1394) is perfect for quick transfers of camcorder material onto the hard-disk drive and then to DVD. This is a great DVD player, too. Whether your living room is currently home to an HDTV or you're merely thinking of "someday," the RS-TX60 will deliver the full potential of your commercial DVDs. Progressive scanning, referred to as 480p for the number of horizontal lines that compose the video image, gives you higher resolution and sharper images than standard 480i signals while eliminating nearly all motion artifacts. Toshiba's Digital Cinema Progressive feature (3:2 pulldown detection and reversal) digitally corrects frame distortion in film-based material to display a film-frame-accurate picture. The recorder/player's ColorStream Pro component-video output (selectable for 480p/480i) works for both DVD and TiVo content. There are 2 composite-video-based AV inputs, 1 S-video input, and 1 RF coaxial input (for an antenna signal or a feed from an older VCR or cable box). A set of left/right analog-audio outputs channel audio to Dolby Pro Logic receivers and stereo televisions, while both Dolby Digital and DTS 5.1-channel surround-sound signals can be routed through the player's Toslink optical digital-audio output for direct connection to a full-featured audio/video receiver. The included, no-fee TiVo Basic service features a 3-day rolling program guide, TV "Trick Play" features (such as the ability to pause and rewind live TV), instant replay/instant skip, and manual recording capability with repeat function. The unit is fully upgradeable to the TiVo Plus Service (subscription required: $12.95 per month or a "product lifetime" fee of $299 that's good for as long as your RS-TX60 remains operational), which includes TiVo's Home Media Option for remote (online) scheduling, access to MP3/JPEG digital media files from your PC, and multi-room viewing with no additional TiVo receivers. 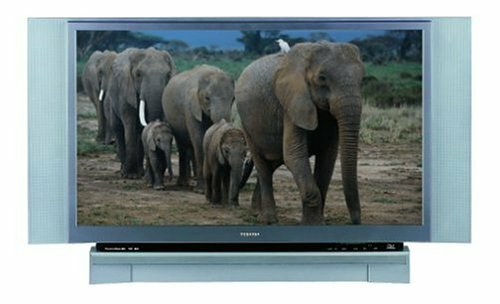 Toshiba takes television into the future with the feature- and technology-packed52-inch TheaterWide 52HM94 DLP integrated HDTV. For starters, the widescreen 52 HM94 employs a proprietary system called TALEN (Toshiba Advanced Light Engine) t o maximize the brightness and contrast of its Texas Instruments HD2+ DLP chip, w hich has a native resolution of 1,280 x 720-pixel progressive resolution (720p).Thanks to this technology, Toshiba's TheaterWide TVs challenge direct-view CRT TVs when it comes to reproducing deep blacks and crisp details in dark or shadow y scenes. Next on the list is the built-in HDTV tuner, which can receive both digital terr estrial and digital cable broadcasts (ATSC and QAM), so there's no need to buy e xtra components to get hi-def signals. Of course standard-definition video looksgreat, too, thanks to Toshiba's multistep PixelPure video processing system, wh ich optimizes the three main picture quality factors: resolution, contrast, and color. All incoming signals are upconverted by the built-in "scaler" to match th e DLP chip's 720p resolution. The set's TheaterFine HD Super Fine Pitch screen r educes the physical space between the lines on the lenticular screen, resulting in a finer, sharper, more detailed picture. In addition, a CableCARD slot gives you the option to connect to cable TV withou t a set-top box, giving you access to analog, digital cable, HDTV, and premium c able channels like HBO and Cinemax (if supported by your cable company). Two Fir eWire ports with industry standard DTVLink capability enable digital networking and recording. TV Guide On Screen, an interactive program guide, offers simple, user-friendly channel surfing. The TheaterNet IR/1394 control system enables eff ortless analog and digital external device control, and an OmniViewer Memory Car d Slot (compatible with Secure Digital, SmartMedia, Memory Stick, CompactFlash, and MultiMediaCard) with a JPEG viewer allows quick, easy viewing of digital pho tos. The TV's excellent picture clarity is due to DFine Hi-Speed VSM (velocity scan m odulation), which improves contrast, while the CableClear DNR+ digital noise red uction optimizes poor NTSC signals from antenna or cable, minimizing video noise("snow") for a clean, crisp image. Cinema Mode circuitry (3:2 pulldown) identif ies original film-based content from DVDs, then reassembles the frame sequence t o more accurately reproduce the original 24-frame-per-second material. A 3D Y/C (4 MB, 10-bit) digital comb filter with Vertical Contour Correction hel ps eliminate dot crawl and color bleed and significantly reduces detail noise, s een as shimmering or flicker, in complex or intricately detailed scenes. Color t emperature controls allow you to adjust white balance. The "Warm" setting reduce s the color temperature to an NTSC-standard 6,500 degrees Kelvin and delivers a redder image that is ideal for display in a dimly lit room. "Medium" and "Cool" provide a progressively bluer image for the best picture as light levels are inc reased. The 52HM94 has plenty of inputs for connecting all your audio and video componen ts. In back you'll find two RF, two composite, two S-video, and two HD ColorStre am components, as well as an HDMI digital input. HDMI (High-Definition Multimedi a Interface) is an uncompressed, all-digital audio/video interface that supportsstandard, enhanced, or high-definition video, plus 8-channel digital audio--allon a single cable. A set of front composite and S-video inputs make hooking up a game console or camcorder a snap. Other features include HD Window dual-tuner POP (picture-on-picture) with PIP so und for listening to two programs simultaneously, the new Radiance DC lamp with high brightness and lower power modes for extended life, individual audio/video settings by input type, sleep and wake timers, Real Speed progressive scanning t o create smoother diagonal lines, Color Transient Improver for sharp transitionson color changes without bleeding, and Color Detail Enhancer to maintain fine i mage detail in color saturated areas. Aside from the 20-watts-per-channel stereo speaker system, the 62HM94 uses MTS f or programming with stereo sound and SAP for receiving a second audio track in a nother language. Meanwhile, SRS WOW combines 3D Sound (simulated surround sound from any stereo audio) with TruBass (yet another low-frequency enhancement) and Focus (which clarifies voices). The StableSound volume leveler eliminates drasti c volume spikes while changing channels or when channels go to a commercial brea k.
This dvd player has the worst picture quality I have ever seen! I thought I was upgrading when I sold my panasonic 5 inch portable player to buy this pile! I looked at many 7" players and chose to go with the toshiba as the price was very good. but best buy did not have one on display at the time so I could not see the picture quality. When I got home I threw in jurassic park and was quickly shocked by the very poor picture. everything was blurry. and the thing made very loud sounds from inside, somthing my panasonic did not do as it was very quiet. so I took it back to best buy for a refund. so if you dont care about picture quality and only care about price then buy it but if your like me and expect the best then stay away from this junk. 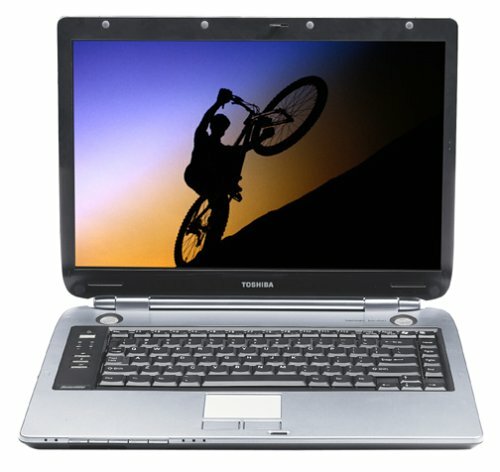 I bought the Toshiba P1600 for an upcoming trip with my sons. What a nice surprise. Well made, easy to use, picture quality "rocks" and the dual headphone feature is a nice addition. Now to get it back from the kids so I can enjoy this little gem!! My only issue is the sound level. Buy some amplified portable speakers. 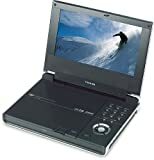 First of all, I must tell you that this is the first portable dvd player I have purchased, but I have looked around and did alot of research.I paid attention to the reviews people have made on all the models I was interested in.The reason I purchased this model was because when I researched the sdp1400 model, there were many good reviews.This sdp1600 is just the next generation of, for lack of a better word, cheaper models.I must say that this is, in no way, made cheaply....but the price would sure reflect that very thing.I bought this for $199.99, and so far well worth the money. The picture quality is great.I like the fact that there are dual headphone jacks, the 3d virtual sound is a nice feature...and you can turn it off if you choose to do so.I also like that I can plug my digital camera into it and see my pictures while traveling.I'm sure there are other features that I have not utilized yet....mainly because I don't feel the need for them, but some of you may want those extra features. None of the movies I played in it stopped or skipped, and that includes movies that ahve been 'burned'. One thing I do wish for is that the speakers were a bit louder. 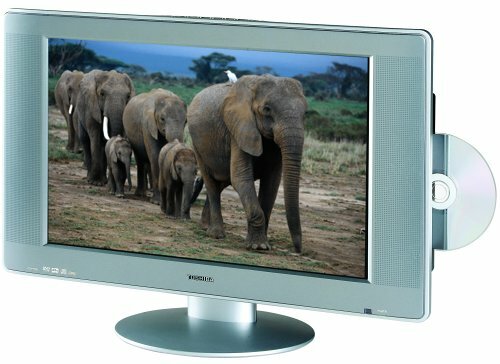 Smaller than previous models and boasting an ever-sharper image, Toshiba's 26HL84 LCD television is stocked to the gills with life-simplifying features and sophisticated image enhancements. With minimal glare, no screen curvature, and no irritating high-frequency screen noise, the 26-inch set stands fully apart from its CRT counterparts. Set it on a table using the supplied stand or mount it on the wall using optional brackets for ultimate space efficiency. The 1,366 x 768-resolution set boasts not only 2 ColorStream HD high-definition (up to 720p) component-video inputs, but also a Digital Visual Interface (DVI-HDTV) for a direct digital connection with an HD set-top box or HD satellite receiver (sold separately). 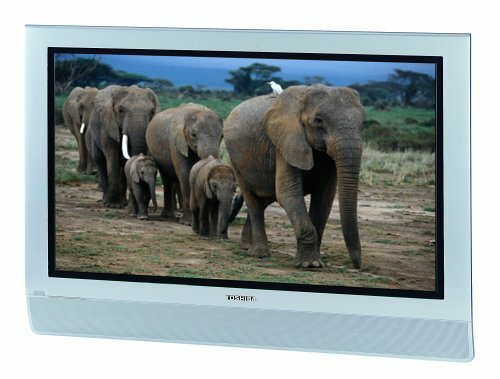 LCD screens offer a number of benefits over CRT monitors and televisions, including general ease of use, freedom from eye strain (no screen flickering or radiation emissions), quiet operation (no high-pitch "flyback" noise, an issue with CRT TVs), accurate image geometry (no curvature distortion or susceptibility to magnetic interference from, say, speakers), long screen life (with no risk of image burn-in), space savings, and light weight/easy positioning. Toshiba's PixelPure proprietary digital video processing is a suite of 8 different circuits that together create a consistently clear, deep, and accurate picture: 6.2 million pixel oversampling (for higher perceived resolution with decreased image distortion), Real Speed Progressive Scanning (which uses additional sampling points to create smoother diagonal lines), Magic Square Algorithm (for smooth and natural color gradation), Dynamic Contrast Enhancer (for higher perceived contrast and increased color saturation and purity), Super Real Transient and Small Signal Sharpness (for sharp transitions from dark to bright), Color Transient Improver (for sharp transitions on color changes without bleeding), and Color Detail Enhancer (to maintain fine image detail in color saturated areas). A 3D Y/C (4 MB, 10-bit) digital comb filter with Vertical Contour Correction ensures sharp, clean pictures from RF (older VCR, laserdisc) and composite-video signals. Cinema Mode (3:2 pulldown switch) circuitry identifies original film-based content from DVDs, then reassembles the frame sequence to more accurately reproduce the original 24-frame-per-second material. Other features include HD Window POP (picture-on-picture) with split-screen and 12-multiwindow viewing as well as PIP sound (which lets you watch and listen to two programs simultaneously, even HD sources); TheaterLink IR (through which you can operate your video components by pointing the remote at the TV screen, even if the components are hidden away); CableClear DNR+ digital noise reduction; individual audio/video settings by input type; sleep and wake timers; SurfLock; and a host of parental controls including GameTimer, channel lock, and video input lock. Dual ColorStream HD component-video inputs (Y, Pr, Pb) provide the ultimate picture quality from high-resolution component-video signals (as from compatible DVD players or satellite receivers). Two sets of rear AV inputs and a set of front AV inputs (all including S-video) foster easy connection with a camcorder or gaming console, and a rear audio output--choose from fixed- or variable-level feeds--lets you hook the set up with a surround receiver. And the 10-watts-per-channel 26HL84 offers a little something--well, a lot of something--extra in the bass department: Toshiba's Sub-Bass System (SBS), which heightens the impact of low-frequency audio. Meanwhile, SRS WOW combines 3D Sound (simulated surround sound from any stereo audio) with TruBass (yet another low-frequency enhancement) and Focus (which clarifies voices). If that's not enough aural excitement, you can also enjoy 2-channel simulated surround courtesy of Dolby Virtual Surround. Enrich your life with the elegance of a flat-screen display and the simplicity of a combination DVD player and television. Toshiba's 23HLV84 saves space while simplifying hookups. Plug it in, pop in a movie, and sit back to enjoy your program in vivid, lifelike high-contrast detail. With minimal glare, no screen curvature, and no irritating high-frequency screen noise, this 23-inch set stands fully apart from its CRT counterparts. Set it on a table using the supplied stand or mount it on the wall using optional brackets for ultimate space efficiency. The set's built-in DVD player is compatible with DVD-Video, DVD-R, DVD-RW, VCD, audio CD, and recordable CDs filled with JPEG digital photos or MP3/WMA audio files. 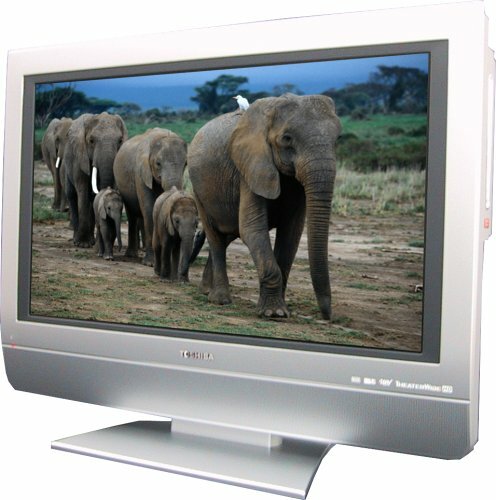 LCD screens offer a number of benefits over CRT monitors and televisions, including general ease of use, long screen life with no risk of image burn-in, and space savings. This 1,366 x 768-resolution set boasts not only 2 ColorStream HD high-definition (up to 720p) component-video inputs, but also a High-Definition Multimedia Interface (HDMI) for a direct digital connection with an HD set-top box or HD satellite receiver (sold separately). HD Dynamic Contrast increases contrast and color saturation to create deep, rich images. The intelligent circuitry analyzes both the dark and bright areas of the picture, separately optimizing the dynamic range in each area. Picture enhancements include luminance transient improvement, green enhancement, and blue stretch. This circuit is only active in sports mode and works with all inputs. Dual ColorStream HD component-video inputs (Y, Pr, Pb) provide the ultimate picture quality from high-resolution component-video signals (as from compatible DVD players or satellite receivers). Two sets of rear AV inputs (one with S-video) and a set of front AV inputs foster easy connection with a camcorder or gaming console, and a rear audio output lets you hook the set up with a surround receiver. And the 5-watts-per-channel 23HLV84 offers SRS WOW processing, which combines 3D Sound (simulated surround sound from any stereo audio) with TruBass (yet another low-frequency enhancement) and Focus (which clarifies voices). If that's not enough aural excitement, you can also enjoy 2-channel simulated surround courtesy of Dolby Virtual Surround. HDMI is a lossless, uncompressed, all-digital audio/video interface to link the set with any audio/video source (such as a set-top box, DVD player, or AV receiver). HDMI supports standard-definition (SD), enhanced definition (ED), or high-definition (HD) video, plus multi-channel digital audio--all using a single cable. It transmits all ATSC HDTV standards and supports up to 8-channel digital audio, with bandwidth to spare to accommodate future enhancements and requirements. I've had a qosimo F15 for only a few weeks, but so far it has amazed me - I have the US version as the European one is not as hi-spec. So far - screen quality amazing, sounds excellent (better than any other I've heard), and the way the ports are arranged are very user friendly as mentioned by the other reviewer. I've not tried the gaming on it yet but sounds and visison on everything else seem great so I am sure it will fine. The only complaint I might have is that the laptop does not last that long on battery power alone - I think just a couple of hours - which may be a problem for some.